You Dont Win or Loose the Games because of 11 you select, You Win or Loose with what those 11 do in the Field !!! 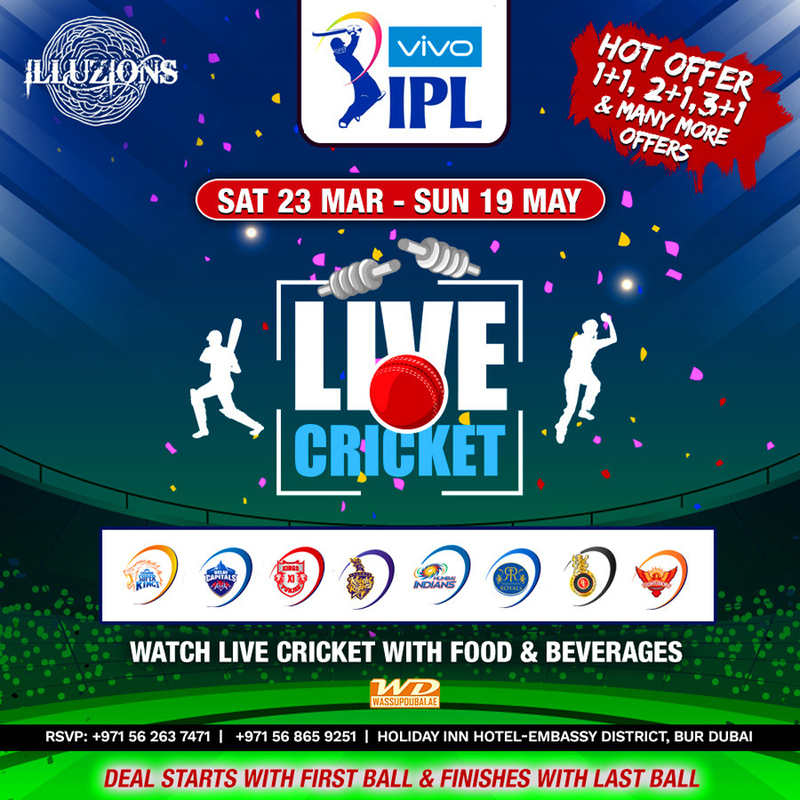 IPL Live Screening of “Day & Night Matches” on Big Screen at iLLuzions Lounge (Holiday Inn Hotel - Embassy District, Bur Dubai). Hot Offers including 1+1, 2+1, 3+1 & Many More Offers. Match Timings: 6:30 pm (Night Matches) & 2:30 pm (Day Matches). For info and reservations call 056 263 7471 / 056 865 9251.